Some Ninja Vipers came with two light gray swords, some with two dark gray swords, and some Ninja Vipers came with no swords at all. 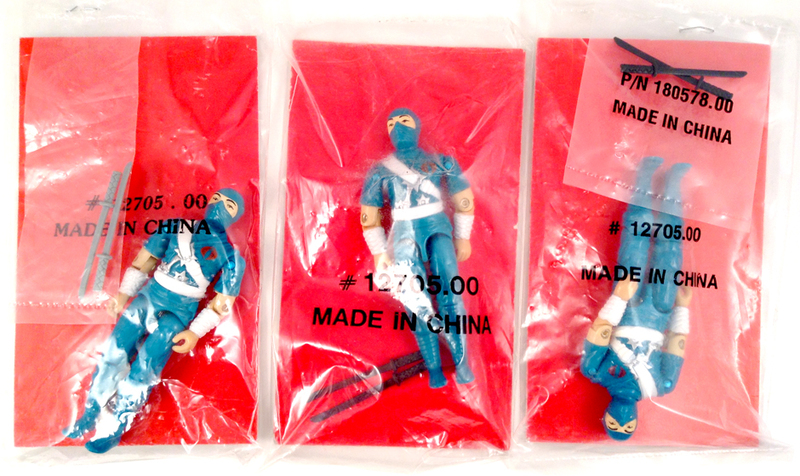 Of the three MISB Ninja Vipers I've come across, they all have the same "#12705.00 MADE IN CHINA" on the bag. Some came with the swords sealed in the bag with the figure, and others had the swords in a separate bag stapled onto the larger bag.